Knife can be a trusted tool. May it be out in the wilderness, or at home, in the kitchen, a knife can help you out in many situations. Knives have been the weapon of choice for so many years! Surely it isn’t without a reason! Make it a part of your life – from outdoor adventures to indoor cooking quests. A knife can only be of any use, provided the blade is sharp and strong! A dull knife has no use, so it is imperative that you keep the blades extra sharp (be careful, not to cut yourself). This is a regular task! Do not ignore knife maintenance. Overlook maintaining the knife, and voila, you destroy your knife forever. Do you really want that?! Definitely, not! So, how do you maintain your knife? 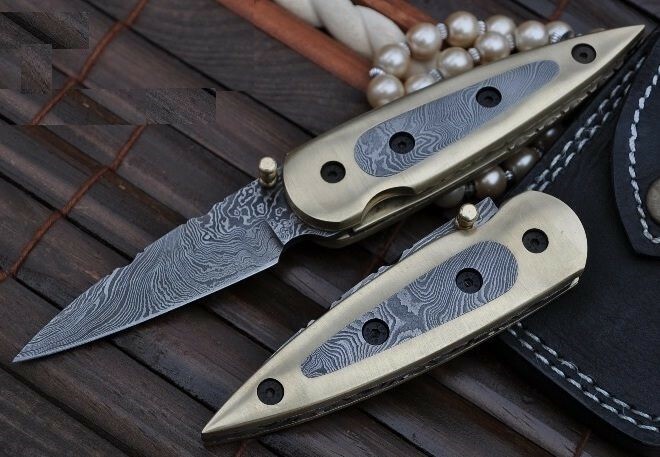 There are some simple things that you can follow to maintain the knife’s Damascus steel blade. Dishwashers are the worst enemy of knives and their sharpness. When you return from your outdoor quest, or culinary victory, do not place the knife in a dishwasher. Use plain and simple warm soapy water and a soft sponge. Once it is clean, use a dishcloth to dry the blade. This will keep the knife sharp and strong. Whether you are out in the woods or in the kitchen, try to cut on a wooden or plastic board. Stone, glass and marble can hamper the knife’s sharpness and longevity. In the wilderness, finding a proper chopping board is impossible, but you could use a piece of wood as your chopping board! Never wait till the knife has gone completely blunt. As soon as you realize that the knife is losing its sharpness, use a sharpening rod to sharpen the knife. A ceramic or stainless-steel rod is a good choice for sharpening the knives. This can be a complete failure, if not completed by a professional. Sharpening and honing are completely different from each other. Sharpening is used to create a bevelled cutting edge with the help of stone and sandpaper, while honing is the process of straightening the cutting edge with the help of honing steel. Honing is a fairly easier process, but sharpening is a different story. The blade of your knife will lose its sharpness with time! It is best to leave the sharpening to professionals. They will complete the task with finesse. Moisture can be another enemy of your knife. Even a dab of moisture can ruin the beauty and sharpness of the knife’s blade. This is common for knives stored in a leather sheath, as the leather has a tendency to absorb moisture. So, always make sure that the place or sheath, you store the knife in is completely dry. After chopping, never use the blade to transfer the chopped veggies or meat. This is a golden rule! Always use the opposite blade of the knife, whether you are in the kitchen, or out in the wild. Many people also use the knife for tasks that need specialized knife, or a different tool, like cutting cloth. 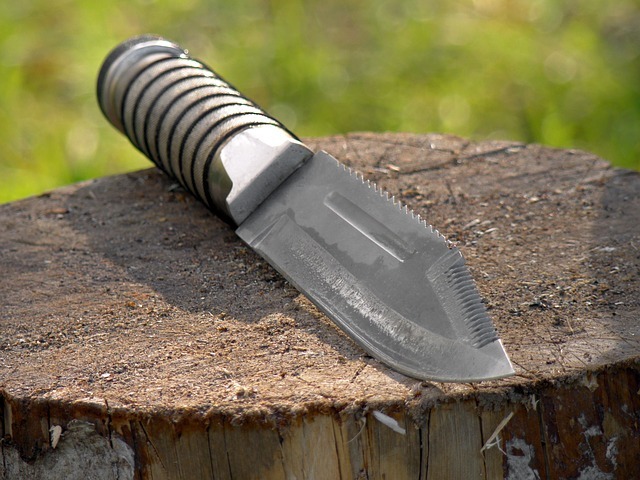 In the wilderness, you might have to do that, but for that you will be carrying a survival knife, which has the ability for such tasks, but it is best to refrain from using the culinary knife for such tasks. 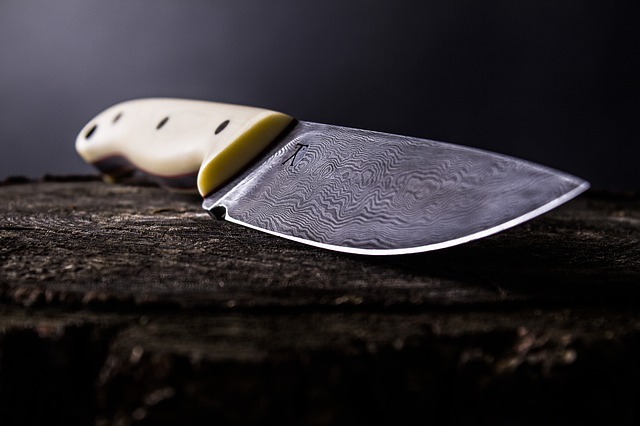 A light coating of neutral oils like olive oil or Vaseline can be a boon for your knife blade. It will help protect the knife blade, even if you store it for a long time. With time, the blade might accumulate all kinds of nastiness, like microbial growth or dust, this film of oil or petroleum jelly will protect the knife’s blade from the attack of such detrimental agents. Knives demand respect. If, you keep all your knives jumbled up in a drawer, then you can forget about maintaining them. The edges will become battered or dented. Or, worse you will end up with bloody fingertips. You need to have a proper knife organization solution, installed in the drawer. Even if, that is not possible, always ensure that knives do not slide everywhere, when storing the knives. Many have the habit of opening wine and champagne bottles with a knife. Well, do not do that! There are particular types of knives meant to complete this task! Not all knives are made for this job. You need to find the blade meant for opening bottles. Whether you are celebrating your birthday, or return to civilization in one piece, do not use your kitchen or survival knife for opening the celebratory bottle of champagne/wine. It is essential that you keep the blade clean. A knife with a dirty blade will soon become dull. To ensure that the blade stays sharp and strong, you will need to maintain the knife. How, you ask?! Well, just clean the blade on a regular basis. A soft cloth is all that you need. The clean-up will remove all the dust and dirt from the edge. Wow, who knew that maintenance of knife just needs some tips and tricks? Well, if you can follow some of the rules (at least!) you will be able to maintain the knife in top shape. When, you have a powerful and potent knife, you will be able to achieve the desired functionality. But, all things that are great (and useful), demand some TLC. Your knife is no different! It demands respect and care, so that it can continue being effective and potent. Follow the (simple!) maintenance routine to keep your knife as good as new!